Toners are peroxide only dyes that are used to remove unwanted tones from hair that has been recently bleached. Bleach works by removing pigments from hair, but depending on the weight of the molecules that make up that pigment some colors go away quicker than others. So unless you learn how to tone hair after bleaching you risk ending up with a brassy, orange mop instead of the icy ash blonde you wanted. In a hurry to get rid of brassy tones? If you have never bleached your hair and are just learning how to bleach your hair at home, you have probably no idea why youâ€™d need to tone your hair. After all, you are just going blonde right? Unless you are naturally a very light blonde your hair will have dark red, orange and red pigments will be present in your hair. As the bleach works its way through them, your hair will go through several more or less garish shades of red, orange and gold, but usually it stops on the most unflattering burnt light orange you can achieve. Unless you are lucky enough to suit those tones, toning is the way to go to bring brassy undertones back under control. As you would expect, the more dramatic color changes require the most toning. If you are in the middle of several bleaching processes to bring you to platinum shade from very dark hair, you may need to live with the orange for a bit. However, you can still use a toner to make it into a more suitable shade for you. The main function of toners for bleached hair is neutralising unwanted undertones. However, you can also apply toner on bleached hair to achieve a particular effect such as silver or rose gold hair. Think of it as a very subtle, non-damaging dye that won’t lighten the hair further but will add some color to it. Choosing the right toner for bleached hair depends on what the end result needs to be. You will also need to be somehow familiar with colour theory, but you don’t need to be a hairdresser to apply toner on bleached hair successfully. Let’s start with choosing a toner for bleached hair that has turned brassy or orange. This can be because you were going from very dark hair and using a low strength developer, or maybe you just didn’t leave the bleach long enough on the hair. You may be happy with the intensity of the color (If you are not and you want to go lighter, you will need to bleach again. Adding toner on bleached hair will not lighten it). A toner that has blue and violet tones to it will counteract the brassiness, leaving you with a nice light brown or ashy dark blonde. If you are aiming for white or platinum hair, you will need to choose a toner for bleached hair that can cancel the remaining yellow undertones your level 10 hair will have. Applying violet toner on bleached hair will cancel out the yellow to achieve white hair – provided your hair is already at the level 10 pale yellow stage. This is because violet or purple is the opposite colour on the color wheel to yellow and as such they cancel each other out. In order to tone blonde hair so it looks like a natural blonde you want to use a yellow-cancelling toner (for very light ashy blondes) or a beige one. Color Charm Activating Lotion not included. But toners for bleached hair can also be used to warm up or darken hair that has been bleached too light. For example, you could use a warm toner to turn stark yellow highlights into more complimentary caramel ones if that’s the effect you are after. Generally speaking, applying a warm toner on bleacher hair will make the final result look darker, whereas cooler toners will make hair look lighter. In order to keep your blonde hair bright you may want to tone it regularly to remove unwanted undertones. This can be done by using a toner, a non-ammonia dye such as Manic Panic or even colour depositing shampoo and conditioner. A hair toner is a color depositing dye that work by neutralising the unwanted undertones in your hair. Hair toners can be all sorts of â€œstrangeâ€ colors, as they need to neutralise gold, red and yellow tones. So, for example a green based toner will neutralise red, a blue one will neutralise orange and a violet one will remove yellow undertones from blonde hair. The intensity of the toner should match your chosen hair tone level. Toners are also not usually called green, blue or violet tones. For example, if you look at the color chart for the Wella Color Charm permanent toners youâ€™ll see the names are usually things like silver, ash or beige (for neutral, cool or golden end results. If you are trying to get really pale, white hair in order to apply rainbow hair dye, you will most likely need a silver or ash toner to remove any hint of warm undertones. For golden beach hair, beige toners will remove the orange so the hair looks naturally blonde. Wella hair toners are widely available online, and provided you follow the instructions offer really good results. T-18 (White Lady): Use on *pale hair* to remove residual brassiness to achieve platinum blonde hair. T-11 (Lightest Beige Blonde): Use on lemon or yellow hair to achieve sandy blonde color. 7AA/632 (Medium Ash Blonde): Use on darker blondes for an ashy blonde that looks natural instead of yellow. How to read the Wella toners chart? It’s easy. Look at the color of your hair and compare it with the bottom row of the chart. The toners that are suitable for that hair color levelÂ are right above, alongside the expected result. For example, if you wanted to dye your hair silverÂ or fix silver hair that has turned yellowÂ you would need to use Wella T10 on hair that has already pre-lightened to very pale, yellowy lemon. The most common use of hair toner is to tone blonde hair so it looks natural instead of chemically altered by the bleach or lightener. The right hair toner is what stands between cheap oxidised yellow and natural, glossy blonde. For this reason, most salons will include this as part of any going blonde service, in what is known as double processing. In order to choose the right toner for blonde hair you need to consider first which type of blonde you want to achieve. Toners are usually used to cool or remove yellow from bleached hair, but they can also be used to achieve natural looking warm, golden blondes. However, hair toners only deposit color so you will need to bleach your hair light enough first.Â I get a lot of questions about Wella t14 on orange hairÂ not working. You need to bleach the hair to pale yellow or at least yellow first. Just make sure to use some intense hair care masks in between bleaching sessions. Sometimes a hair toner is not strong enough to cancel strong brassy or yellow tones on lightened hair. If your hair pulls brassy very strongly (common if you are a redhead or are lightening very dark warm brunette hair) you may need to remove those tones using bleach first. For example, Wella t18 toner on orange hair won’t work because it is designed to work on pale yellow hair. The purple on it will cancel some of the yellow hair, but not the orange which needs blue toner. So your hair will still be brassy, just a bit less so. On hair that has already been lightened, a bleach bath can remove the last remnants of orange from hair, and then you will be able to tone it using a darker toner to achieve a natural looking beige blonde. Or you can use a lighter toner to achieve natural light ashy blonde. If you like warmer blonde colors and rainbow hair, a dusky pink, peach or golden toner will give you the desired result, minus the brassiness. It will also wash off quicker than you can get bored of it. Toner makes all the difference between strippy, zebra-like highlights and natural looking ones. For this reason, toning newly highlighted hair is nearly always part of the process, at home or at the salon. However, some salons may charge you extra for this service and it may be worth learning to apply toner for hair after highlights at home. You should also use a toning shampoo and conditioner every few washes to keep your highlights looking fresh. The best toner for bleached hair in this case will depend on the original hair color and the desired end result. Usually, a toner for highlights on dark hair needs to be darker than when you tone blonde hair, unless you want to make a big statement. This is because dark hair has more orange and red pigments, so lightening it to an ashy blonde (and keeping it there) is much more difficult. Most brunettes with highlights will be looking at blue toners to remove orange and brassy undertones while still looking sunkissed and natural. A good toner for brown hair with highlights that look natural could be a caramel blonde semi-permanent dye. However, theÂ toner for highlights on dark hair is not necessarily different from the ones you would use to achieve platinum blonde hair, because you are only applying it to the highlights and needs to be chosen based on the color of said highlights. Just be careful not to apply a hair toner with developer all over your head, as that could cause slight oxidation of your brunette color and brassy tones appearing all over. As you can see, you can use Wella T18 (for lightest blondes) as aÂ a toner for highlights on dark hairÂ and it will still look amazing. The highlights are still warm but they don’t look brassy or yellow at all, just naturally beautiful. However, as you can see in this other Wella T18 before and after picture, you can also use the same toner to achieve platinum blonde highlights. The end result from using a toner depends as much on the toner used as on the actual color of the hair you are applying it to. Once you have chosen your toner and read the instructions, the process is pretty simple. You should have washed your hair to remove the bleach, but donâ€™t use a conditioner yet. Towel dry your hair and apply the toner following the instructions and processing time exactly. Otherwise you may overcorrect and end up with green or blue tinges in your hair, particularly if you are now a very light blonde. A bleach and toner processÂ can be done at the same time, you don’t need to spend longer with orange or brassy hair than you want to. Just remember that toner won’t lift hair color, so you will need to use bleach until your hair is as light as you need it to be. After bleaching, hair is very porous and will take more dye than usual, so donâ€™t leave the dye on longer than recommended. Even if your hair used to be really stubborn and needed extra time. Personally I find Wella Colorcharm line to be the best toner for bleached hair in terms of yellow and brassy correction. That’s why I always mention them, as they give reliable results and so are perfect for maintaining a natural blonde hue and used frequently by professional hairdressers. However, you should always assess the current hair level your hair has lifted to, and use that to decide which toner to use. Just because Wella White Lady works great for platinum hair it doesn’t mean it will fix your medium blonde brassy hues. Most of the time you will only use a 10 vol peroxide mix, because the bleach will have lifted the hair as much as you wanted, and at this point itâ€™s best to be nice to it. However, 20 vol peroxide is also recommended by the manufacturers because it opens the cuticle more and so the dye lasts longer. Remember you can always re-apply toner as it fades, so if your hair is damaged it pays to be a bit conservative with the peroxide levels. How To Apply Toner After Bleaching? Once you have chosen the right toner, you will need an applicator brush, a plastic bowl and a developer. Mix the toner and the developer in a 1:2 ratio. Apply the mixture to your hair with the applicator brush, focusing on the orange bits. Leave the toner on your hair for maximum 45 minutes (keep an eye on how the color is developing or you may end up with blue hair). Rinse with a sulfate-free shampoo and deep condition. This video may help as well. Applying toner to hair yourself is pretty straightforward, as it’s only depositing color and uses minimum developer so it won’t damage your hair. Unlike bleach, slow application won’t leave you with half your head yellow and the other half orange. However, it pays to make sure you really soak the strands and make sure toner is applied evenly to all the areas you want to color correct. In some cases, you may want to use two different toners, one for brassy hair and another for yellow hair, to make your new blonde color look even. Blonde hair turns yellow or brassy as the hair dye oxidises. Hair toner cancels out those unwanted undertones by depositing pigment on your hair, but it will wash off eventually. If you are wondering “How often should I tone my hair” take a look at your hair care routine and the quality of water in your shower. If you use sulphate free shampoos, have a shower water filter to reduce the amount of minerals in the water and don’t go to the swimming pool or the beach often, you may not need to tone your hair again for several weeks. If you swim several times a week, you may need to use a violet shampoo and conditioner regularly to prevent your blonde hair from turning yellow. A hair toning or gloss service (or it’s DIY at-home variants) is great to refresh your color and make your hair look healthier and brighter. So it is not a bad thing to do it at least monthly, to keep that hair color looking like new. But if you really dislike the maintenance, just avoid very light, ashy platinum blondes as they tend to turn yellow much quicker than darker hues. There is a different kind of toner that can be used for maintenance. This sort of toners only last between 1 and 5 washes, and are used like a conditioning treatment. Their purpose is to revive faded color or colour-correct undertones in between dye processes. They wash off because no peroxide is used, so you are only depositing color on the hair cuticle. At the same time, they can make your hair look fresh from the salon after you wash it. In my opinion, they are a must-have if you lighten your hair. This sort of toners is great to correct yellow hair disasters, for example. Perfect blonde will add incredible shine. Using a toner will make all the difference between hair that looks bleached and hair that looks natural. Removing unwanted undertones from your hair means that you can get the blonde that you want, no matter what your original colour is. My ”grey” re-growth is almost 4 inches now and I applied a colour remover on the rest of my hair which had some blonde left. I want to go natural and I want to apply a light ash toner with 10 volume dev. to hide some of the yellowish that is still left . My hair is short. And also, can I apply it right after I removed the colour or do I have to wait? I will be putting a hair mask afterwards. You can apply a toner right after using the color remover BUT keep in mind that if you haven’t flushed all the color from your hair (by rinsing it for as long as the color remover instructions say, which I know from experience is a PITA) when you add developer to your hair the original color pigments will re-appear. The color remover shrinks the pigment molecules so they can slip out of the hair (and that’s why all the rinsing) but developer will enlarge them again and make them visible in your hair. In order to avoid unexpected results, I would try a strand test first with the developer, just to be on the safe side. Can I apply a toner to my hair a while after its been bleached? I bleached my hair a lil less than a month ago, is it perfectly fine to wash my hair and apply the toner now, or would I have to rebleach it? You can apply a toner at any point, but toners won’t lift color so the roots will still be dark. Hi, I just bleached my hair – first removed color and it turned a dark orange. I waited a day and then I bleached it but used 10 developer for my roots as I wanted to be safer when bleaching at home and used a 20 developer for the ends. My roots picked up more like a yellow white and the ends of my hair picked up yellow while underneath picked up a darker shade almost basically blonde. I went and used well T18 toner but because it was placed all over the head everywhere has picked it up much differently darker still on ends and my roots still sit looking so much lighter. I realized it didn’t even make much of a difference which I found odd but I’ve noticed in past hair attempts I have to use toner more than once to get a shade preferred. I then used purple shampoo the next day and now the purple has stuck to the hair that again still there is no fix to my problem. My question is what can I do to make it all over the same color? I know the obvious is to wait for the purple shampoo to wash out, as it does after a few washes. I wanted to go a golden blonde as I used to be, but with much lighter roots maybe I should go a platinum blonde though that may mean I need to do something more to my ends. It really depends on how light and how yellow your hair is right now. You may need to bleach again if it’s dark yellow, or you may be able to tone it with violet/blue (usually referred to as ashy) toners. I have dyed my hair Bleach blonde and it has yellow tones through it, I am trying to get to a Grey colour but I need to apply a purple toner but which wella purple toner would be best to use? It is difficult to tell without seeing your hair and how light it is, but this guide to dying your hair silver should be helpful. I had my hair bleached and toned at a salon last week. When wet my hair looks very gold. Can I tone again? Do you have any suggestions for an icy toner? Thanks fpr your quick reply! I did try the Loreal Colour Corrector conditioner. It’s a very dark purple/blue, but didn’t make much of a difference. Can you suggest a toner? I try to keep my hair platinum/icy? Ok, difficult to say without seeing your hair but if it’s light enough (Level 10, banana yellow sort of colour or a tad darker) this one works: Click Here It’s also called Wella White Lady. But if your hair is actually golden yellow (say a level 8 or darker) it won’t do much. Hope this helps! If you are unhappy with your hair colour though you should go back to your salon and they may be able to correct it for free. They may need to lighten it further if you want to go platinum. you are wonderful! thank you for your time and your advice. So glad I found this website! My hair is naturally yellow/dirty blonde. I box color it with a 9N (lightest natural blonde) to cover greys and so my hair is a consistent color. However, itâ€™s pretty brassy still. Iâ€™d like to take the brassy color out, but I donâ€™t want to be platinum blonde and I donâ€™t want to go darker. Maybe more of a champagne or light beige. Which would be the best color toner for my hair? Thanks! I can’t say without seeing your hair but you may need to bleach your hair lighter than you want to go, and then tone it down darker to your desired color. This is because the red tones on your hair (which alongside the yellow cause brassiness) are there until your hair is about a level 9 or 10. You can also use a strong violet toner, but it’s impossible to tell you which is the best one without actually seeing your hair. Wella Color Charm t35 is pretty handy, but it will only work if your hair is light enough (level 7-8). Do a patch test first just in case. Some people’s hair have more orange/red pigments than others and more tendency to go brassy. Hi, I just bought the Wella T-14 toner with 20 volume developer. My hair is orange right now after having bleached it at the salon, when I wanted it to be an ash blonde colour. Is there any need to bleach it again, if I bought the 20 volume developer? I just want to clarify the instructions…1) bleach hair until yellow colour, wash off with shampoo, mix developer with toner 2:1 ratio and leave on hair max 45 minutes. Wash off with conditioner and then put on the ash blonde hair dye. Is that correct? Whatâ€™s the ratio for toner and developer if I have long hair? So, first of all, yes, you need the hair to be yellow. Orange is cancelled by blue pigments but if your hair is orange the T-14 doesn’t have the right pigments to cancel it. I would however wait a bit before bleaching again and use a darker toner on the meanwhile to take out the orange (an orange cancelling shampoo would work). It is incredibly difficult to advice on anything without seeing the hair because what for some people is orange for others is a barely brassy yellow. What level is your hair? Is it light enough? That’s the most important bit. The salon should however fix your hair and not let you go out there with hair you don’t like, you are a paying customer after all. The ratio for toner and developer doesn’t change but you may need more of both to cover all your hair and really, really, soak your hair in. Keep in mind that some areas of your hair may be more orange than others, so take that into account and apply first where there is more color correction needed. Hi, I just had my dark brown hair bleached to a medium blonde ombre, but the 2 front pieces of my hair are much blonder than the rest of the hair, and stand out too much. What could I use to tone down these pieces and make them blend in with the rest of my hair? Thanks!! I’d chose a darker toner to try and darken them. Toner is translucent, so it should work. Choosing the right toner for that particular job depends on your current hair color, your desired hair color and how porous your hair is. So I would consider talking to a hairdresser or doing a lot of strand testing. Hello, I have a medium brown hair with an old blonde balayage that now looks more like a yellowish ombre. I would like to make my entire hair more even, but still warm, not very ashy. I read in this article that I could achieve it with a caramel blonde semi-permanent dye. Which Wella dye would do that? And if I just apply it evenly all over my hair will it catch on evenly? It really depends on which color your hair is right now, how damaged/porous, etc… I am afraid I can’t really tell you without seeing it 🙂 It should catch evenly, but it really depends on the condition of your hair. For example, the bleached/ombre areas are likely to be more damaged and more porous so they’ll take to dye differently than the roots which are untouched. But the roots will process dye quicker because of the scalp head. You could try with a deposit-only gloss in caramel tones like this one to even out the tone. Hello.. I had my hair bleached and it’s way lighter than I wanted. It’s at almost silvery platinum. I want to go alittle more golden and warm. What toner could I use for that? I’m afraid I can’t recommend a specific toner without actually seeing your hair, but you should take a look at this article about blonde toners and decide which one would work best with your current base color. Loved the article! Great help in understanding the tone that I want for my blondes! I have a brown to blonde balayage. The brown is dyed as my normal hair color is a dull washed out brown with about 40% gray. The issue is that whenever I need the blonde refreshes on the dyed part (underneath or closer to the scalp) it comes out a brassy orange. Iâ€™ve always wanted a more ashy look but weâ€™ve never gotten there. Iâ€™ve addressed it with the stylist but she says my hair just pulls orange (and it always looks worse when I get home than it does in the salon). I use a blue shampoo about 1-2x/week but it doesnâ€™t touch the orange undertones. What can I do to eliminate the orange on just those parts? If your hair pulls orange you may need to bleach it lighter than you want (to actual yellow, to get rid of all the orange) and then tone with a darker toner in the cool side to get it back to ashy dark blonde. It may be worth looking at another colorist that has a portfolio of brunette to blonde balayage, to get a second opinion without your current colorist feeling you are telling them what to do. My hair is medium brown with some highlight baylage grown out. I would love to go platinum blond but I donâ€™t have the patience or money to have a professional do it for me. In the meantime Iâ€™m getting a bunch of greys coming in around my hairline along my forehead and sides. I thought if I added more highlights around that area it would help blend them better. However, I donâ€™t know what toner to use. I do t want orange/brassy highlights and I want the greys to blend so I donâ€™t have to get my hair done as often. Any ideas for what I should do? It is very difficult to tell without seeing your hair. You will most likely need to bleach/highlight the hairs around your hairline, but keep in mind that grey hair can take dye differently than non-grey hair, so a lot of experimenting and a healthy attitude to risk is a good idea. Start lighter than you think you’ll need, it’s easier to darker toner than to bleach to remove it again. Can I send you a pic of my hair? It’s really difficult to tell without seeing your hair, but I’d use the guide for Wella toners and compare with the hair level of my hair, and work from there. Strand tests are still the best though! I bleached my naturally dark blonde/light brown hair and it is very orange. I would like a very pale cool blonde. Do I bleach again until it is a pale yellow and then tone? Will my hair get to yellow? When i seen the orange color I panicked and washed out the bleach. I am now deep conditioning over night with a cap hoping to keep it from frying. Please help before i shave it all off. Hopefully you haven’t shaved your hair yet! It can be fixed! Hair goes through stages as you bleach it, orange comes earlier than yellow. If you want your hair to be pale yellow then you need to bleach to pale yellow (see The hair color levels guide for exactly what I mean with that). So you will need to bleach again, or if your hair is natural (you haven’t dyed it before at all, only bleached) you may be able to get away with the highlights without bleach process I detail here. But first check your current hair color level and how many more levels you need to lift to get there. Once you are at the right level that’s where toning comes in. Hi! I have naturally dark brown hair but I’ve been dying them medium blonde with box dyes (revlon hair dye) without bleaching them first.. it turns ourtpretty good with orangy tones in it. But now I want to get rid of the brassiness and tone it down towards ashy tones. I was going to use wella t18 toner but my hair is not too light. What toner would be suitable to get rid of brassiness? Heyhey i am naturally blonde, and used a semi-permanent toner (colour freedom – white blonde) . Now i want to apply some hughlights. Is this possible a few days after i used the toner? If you want to lighten hair further you will need to bleach, but maybe a bleach bath will be enough if you only want to lift a bit of the color. I am a natural redhead. I have bleached, golden blonde highlights that were toned warm. I want to keep the warmth. Should I use a gloss with a warm toner or a cool toner? I donâ€™t want to remove the warmth, but I donâ€™t want the golden blonde to look orange. Will warm toner make golden blonde bleached/highlighted hair look orange? It really depends on which toner you use, some are warmer than others, some go more peach/orange and some go more golden. You should be fine with a neutral-golden toner, but it’s worth doing a strand test if you are concerned or your hair (as many redheads do) has a tendency to go brassy very quickly. Thank you for the article!I would like to ask you if after bleaching my hair for highlights I just need to use the toner where I bleached the hair or all over ? My hair is very dark brown . Which volume of developer should I use to bleach it? My hair is like the one in the picture you show using T18 Toner for highlights . It looks amazing!! Hello! Thank you in advance for reading my long comment. I appreciate any and all answers!! 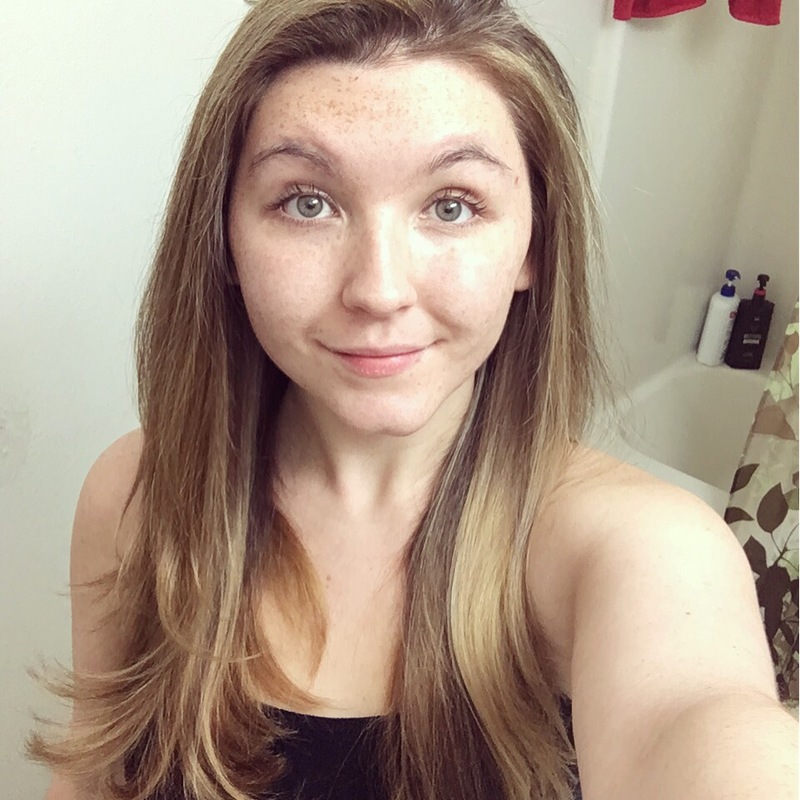 I have naturally dark brown hair (around level 6) and have been maintaining a blonde balayage for a few years. The blonde usually is about a level 8 with tiny bits of level 10 throughout. I prefer having a lot of my natural dark color show through, so I only do a partial balayage and leave quite a bit of the root and some underlying pieces during the bleach process. There was a base bump added, so the roots aren’t as dark but I still loved it. So now, my question. I am about to attempt doing a touch up on my hair at home, but this will be the first time I’ve used toners at home. I was recommended T-18 with a 20Volume developer, but I am worried that might lighten my roots too much, or WORSE, make the roots orange and brassy like some people have suggested it might. I saw something online that said it is possible to only use a 10Volume developer when using toners, and that I will not get any lift from my roots/underlying dark hair by applying it, and that it will still take care of any yellow/brassiness from the bleaching process. Is there any validity in any of this? Should I just use the T-18? Should I mix two different toners? I am figuring this is going to be a trial and error process, but I figure I might as well go into it as prepared as I can, and I am hoping other people might help me from making too many mistakes along the way.